When I saw the title of this recipe I envisioned little loaf shaped meatloaves. It kinda turned out into meatballs. I’m not sure where that dividing line is, but in any case, they were excellent. Really not too much to this dish. 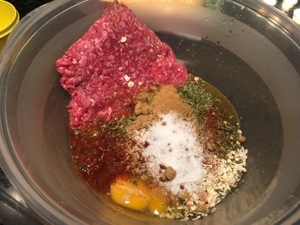 Spices, egg and the meat. Heat oven to 400ºF. 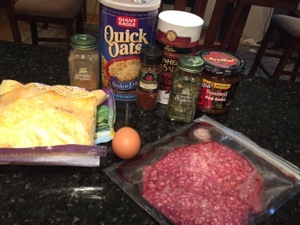 For meatloves, combine all ingredients fin large bowl, mixing lightly but thoroughly. 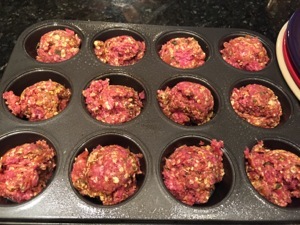 Press approximately 1/3 cup beef mixture into each of 12 medium muffin cups. Bake 15 to 20 minutes to medium (160°) doneness until not pink in center and juices show no pink color. 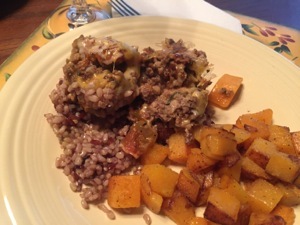 Remove meatloaves from oven. 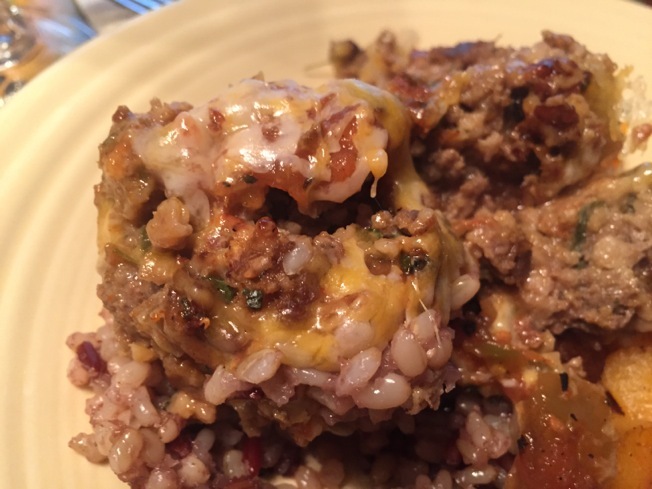 Top each meatloaf with 1 tablespoon salsa and 1 tablespoon cheese. Return to oven; continue baking 3 minutes or until cheese is melted. Use narrow metal spatula or knife to loosen and then lift meatloaves from pan.